Ivory Coast (Côte dIvoire) should adopt national legislation governing use of force and firearms by law enforcement officials that complies with international law. The 2016 Constitution of the Ivory Coast (Côte d'Ivoire) stipulates that: "The right to life is inviolable. ... No one has the right to take the life of another person."Art. 3, 2016 Constitution of the Ivory Coast.The Constitution also prohibits torture and inhuman, cruel, degrading and humiliating treatment.Art. 4, 2016 Constitution of the Ivory Coast. 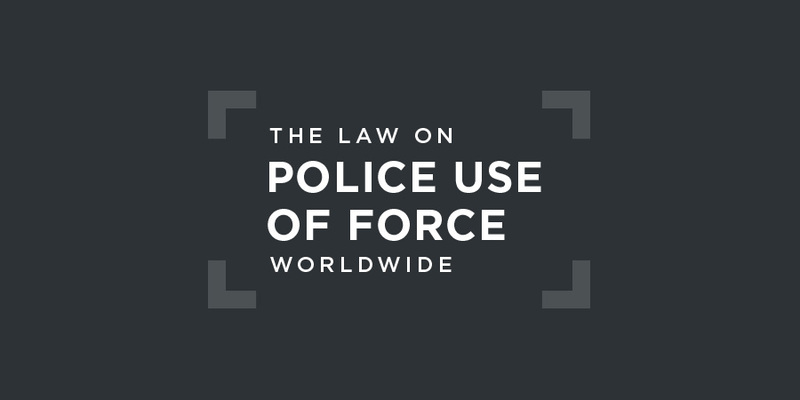 The use of force by the police or other law enforcement agencies is not specifically regulated by the Constitution. There is no detailed legislation governing police use of force and firearms in Ivory Coast. When individuals in groups, whether from within or from outside the prison, seek to force open the doors and it is not possible to prevent this other than by the use of arms.Art. 64, 1960 Code of Criminal Procedure. In a case of self-defence, firearms must always be aimed at the legs.Art. 64, 1960 Code of Criminal Procedure. These rules are considerably more permissive than international law allows. There is no external, independent civilian oversight of the police in Ivory Coast. The General Directorate of the National Police (La Direction Générale de la Police Nationale, DGPN) is responsible for investigating alleged abuses of police powers. about the numerous cases of torture by the police, defence and security forces, particularly at the National Surveillance Directorate (DST) and the Centre for the Coordination of Operational Decisions, and by the Republican Forces of Côte d’Ivoire. It is also concerned about reports that torture has neither been defined nor criminalized in the Criminal Code, so that it is difficult to institute prosecutions for torture. The Committee is concerned, in addition, about allegations that perpetrators of acts of torture enjoy impunity, and it notes the lack of information concerning investigations, prosecutions and convictions for acts of torture in the report of the National Commission of Inquiry and concerning those conducted in the State party during the period from 2000 to 2010. Furthermore, the Committee is concerned about the lack of an independent and effective mechanism for receiving and investigating allegations of torture by the police and defence forces. In 2018, the African Commission on and Peoples’ Rights issued its Concluding Observations on Ivory Coast. It called on the authorities to put in place a national mechanism to prevent torture in police stations, detention centres, and other places. There are no details of any recent cases of prosecution of law enforcement officials for excessive use of force.